Gamification is visual storytelling, feedback, and visual cues. It is measurable and has an objective for the learner. It reinforces previous learned behavior or facts. Essentially, gamification transforms eLearning experiences by implementing gaming techniques into academic topics. Through gamification, a narrative is added to the eLearning experience. Through the implementation of a protagonist, antagonist, and plot, the eLearning experience has evolved with another dimension. Where traditional eLearning focuses strictly on the course content, gamification adds additional intrigue. Games wouldn't be games without some boundaries and guidelines. Where previous eLearning experiences focused on learning only, gamification adds the additional element of another goal, the progression of a game. This has evolved the eLearning experience through an additional element. Gamification, like eLearning, requires interaction. However, with the implementation of a game, participants are involved through eLearning in a different way. Participants engage through gamification not only as learners, but as gamers. By ranking participants based on knowledge and effort, another aspect of eLearning is added. Participants not only are going through the course for completion, but are also made aware of their skill throughout the course. This aspect motives them to not simply “get the course done”. Instead of expecting simple completion, gamification harbors an element of mastery. With these guidelines in mind, let's be clear. Gamification is not game development. Where games are recreational and created for fun, gamification takes those appealing elements and integrates them into eLearning. The purpose of gamification is to increase participant retention. Gamification transforms eLearning by increasing user engagement, influencing behavior, and motivating participation. These are all very measurable. If you are using eLearning games for training, this will directly affect your bottom line. If the simulation is memorable, your workers will use what was taught and apply it. They may go back and play it over again and again. Not everyone is on board for this integration, however. Several companies are hesitating, due to the long-development time gamification takes, as well as a potential higher production cost. Many also doubt the effectiveness of this added “fun”. Regardless, numbers don't lie. McGonigal from Reality Is Broken: Why Games Make Us Better and How They Can Change the World shares “By 21 years of age, many males will have spent over 10,000 hours immersed in online gaming”. 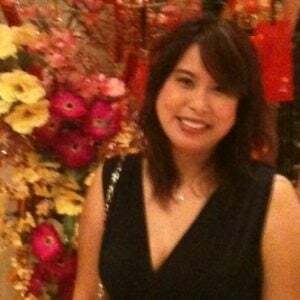 Frank Farral, leader partner at Deloitte (company using gamification for training purposes) said: “If you can gamify the process, you are rewarding the behavior and it's like a dopamine release in the brain. Humans like a game”. Gartner’s research estimated that more than 70% of Global 2000 companies would offer at least one gamified application by the end of 2014, although not all effectively. Gartner's 2011 Industry Research supports this: “By 2015, more than 50% of organizations that manage innovation processes will gamify those processes”. Extensive studies show that games are very effective in increasing levels of interaction and motivation in learning, which in turn helps shape knowledge and optimize the learning process. In fact, according to these studies, 89% would be more engaged in an eLearning application if it had a point-system. Whether a professional's learning style is auditory, visual, or kinesthetic, gamification within eLearning hits a plethora of bases. The benefits of gamification, including but not limited to, invoking friendly competition, providing the learners with a sense of achievement, providing an engaging learner experience leading to anticipated behavior change, and encouraging learners to progress through the content, motivate action, and eventually influence behavior. These benefits yield a multitude of success factors. Besides accomplishing the eLearning goals of teaching and challenging, gamification also engages and entertains. Combining the practicality of eLearning with the appeal of games has undoubtedly yielded a significant trend in online courses. These are a few statistics and benefits of gamification; there are many companies whose eLearning curriculums have evolved with the progression of gamification. Haven't you been sold yet? 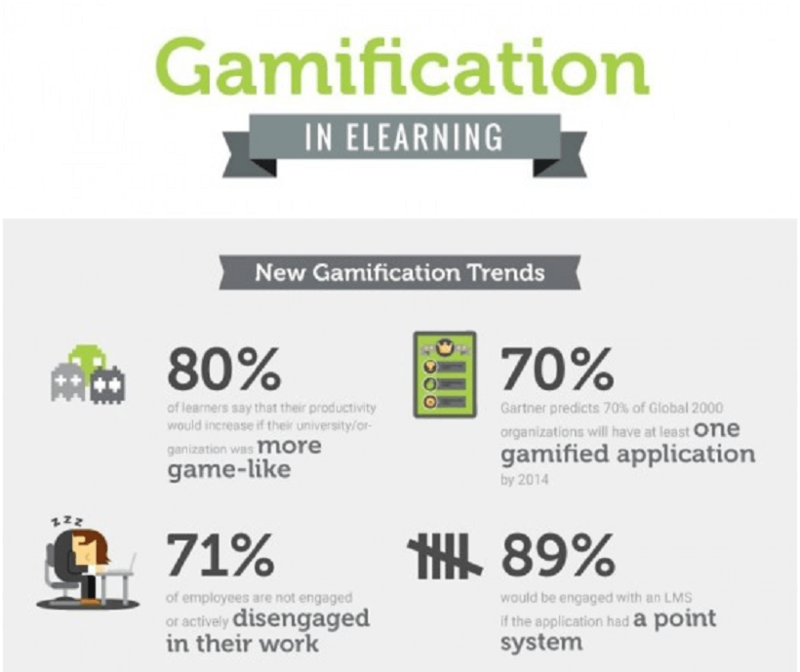 Check out these articles for more information on how gamification transforms eLearning.